Benjamin Sueb born in Kemayoran, Jakarta, March 5, 1939, remarks "Muke lu distant" or "lu kingkong opponents" definitely remind people to Benjamin Sueb. Since childhood, Benjamin Sueb already feeling bitter life. The youngest of eight brothers pair Suaeb-Ayesha lost her father since the age of two years. Due to the economic conditions of uncertainty, the hilarious Ben since the age of three years allowed ngamen around the village and the results for school fees brothers. Benjamin often singing the song neighboring Sunda sonny sonny-Nur while rocking body. People who saw action a laugh and gave coins of 5 cents and a piece of cake as a "reward". Benjamin look small indeed different, but ignorant of its humor makes Benjamin endeared her friends. 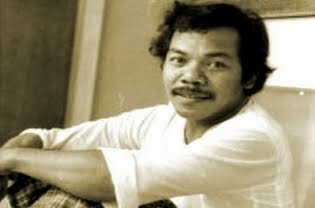 The artist who was born in Kemayoran, March 5, 1939 has seen his talents since they were children. His artistic talent was not free from the influence of his grandfather, Benjamin ie two engkong Saiti, blowing clarinet and Haji Ung, Dulmuluk player, a folk theater - lowers blood art and Haji Ung (Jiung) are also players of folk theater in the Dutch colonial era. As a child, together with seven older brothers, Benjamin could make canned orchestra. Benjamin with his brothers making musical instruments from junk. Trigon of drug box, bass stem from tin metal oil drums, keroncongnya from biscuit tins. With the "instrument" that they often bring the songs Dutch past. The music group formed ragged tin was 6 years old when Benjamin became the forerunner of gait Benjamin in the art world. Of his seven brothers and sisters, Rohani (older first), Moh Noer (second), Otto Suprapto (third), Siti Rohaya (fourth), Moenadji (fifth), Ruslan (sixth), and Saidi (seventh), which has recorded only Benjamin Betawi big name as an artist. Benjamin embark Elementary School (formerly School of the People) Dams Jago since the age of 7 years. Its cheerful, brave, funny, clever and discipline, plus a great voice and a lot of friends, Ben often treated to make friends at school. Grade 5-6 elementary school moved to St. Joseph Bandung. SMP in Jakarta again, Madya Cikini Park entrance. A schoolgirl with comedian Ateng. At school garden Associate, he considered naughty. Never confront the teacher when the class will rise, he threatened, "If I kagak up because algebra, watch out!" Graduated from high school he continued his high school in the Park Student Kemayoran. Had a year studying at the Academy Bank Jakarta, but did not graduate. Noni was only after marrying in 1959 (they divorced July 7, 1979, but reconciled that year), Benjamin returned to her music. Together with compatriot friends in Kemayoran, they form Melodyan Boy. Benjamin singing while playing bongo. Along this same band, two songs Benjamin remembered until now, Si Jampang and Watching Movies. Benjamin Pleaded not have definite goals. Depending on conditions, the singer and movie player like this membanyol. Benjamin had tried to sign up to be a pilot, but failed because his mother is prohibited. He eventually finished traders push the bread. In 1959, he was offered work at the bus company PPD, immediately accepted. There is no other option, he said. Rank only kenek, the route BantengwPasar Grass Field. It was not long. Low, fixed salary not received, the driver can be taught merely corruption, he said. Corruption in question is, the cost of passenger pulled, but the tickets are not given. He himself was at first afraid of corruption, but the driver insisted. Unfortunately, when there is a raid caught. Benjamin did not dare come to the pool bus PPD. Blurred, rather than investigated. Actually, in addition to his world of art, Benjamin was studying and working in the land of the 'serious' following the course of which the Agency Development Company and management (1960), Basic Military Training Kodam V Jaya (1960), the State Administration Course (1964), working Equipment Ammunition in Sections AD (1959-1960), The Music Kodam V Jaya (1957-1969), and Head of Regional Corporate Kriya Jaya (1960-1969). Success in the music world beginning with Benjamin joining with a group of Naga Mustika. Groups who live around Cengkareng is then delivered a name Benjamin as one famous singer in Indonesia. In addition to Benjamin, the band also recruited Ida Royani to duet with Benjamin. In its development, the duo of Benjamin and Ida Royani a duet singer most popular in his time in Indonesia. Even the songs that they bring into fame and success. To the extent Lilis Suryani one of the famous singers at that match. At the end of his life, Benjamin is still in touch with the world entertainment stage. In addition to playing the soap opera / television movie (Mat famous and Si Doel Anak Sekolahan) he was released his last album with the group Rock Al-Haj with Keenan Nasution. Songs like Biang Scrape and Cold-winter mainstay album. In the world of music, Bang Ben (as he is often called) is an artist who contributed to developing the traditional Betawi arts, especially the arts xylophone Kromong. Through art it is also the name of Benjamin becoming more popular. In 1960, the first president of Indonesia, Sukarno, banned foreign songs dialed in Indonesia. The ban did not inhibit the music career of Benjamin, in fact the opposite. With ingenuity, Bang Ben presenting Kromong Xylophone music combined with modern elements. Benjamin, who has fourteen times this pilgrimage has died after a coma a few days after playing football on September 5, 1995, from a heart attack. Benjamin was buried in TPU Rubber bivouac, Jakarta. This is done according to the will she wrote, that he was buried next to the tomb of Bing Slamet which he considers as a teacher, friend, and someone who greatly influenced his life.